Concert of Tchaikovsky Competition laureates offers New Yorkers a chance to hear the next generation of classical music stars in a concert hosted by Russian superconductor Valery Gergiev. On Oct. 24, New York audiences will have a chance to hear the winners of the 15th International Tchaikovsky Competition at a special performance at Carnegie Hall. Russian maestro Valery Gergiev will present the musicians, all of whom are still relatively new to the spotlight. The competition, sponsored by the Russian Ministry of Culture, takes place once every four years and has served as a talent search for new stars since naming its first laureate, Van Cliburn, in 1958. Winners are selected in cello, piano, violin and voice. Despite the competition’s storied history, its prestige fell after the collapse of the Soviet Union as juries failed to find anyone worthy of the top prize on multiple occasions, and on others, awarded medals to musicians many felt were not good enough for the honor. 1) At the first Tchaikovsky Competition in 1958, awards were made only in piano and violin. The discipline of cello was added in 1962, and voice in 1966. 2) Participants in the cello, piano and violin divisions must be between the ages of 16–30 and vocalists between the ages of 19–32. 3) The 2015 event was the first in which juries heard candidates in both Moscow and St. Petersburg. Earlier, rounds had been held only in Moscow. Rumors of “jury mafias” in which teachers gave prizes to their own pupils abounded, and many musicians did not even bother participating without a supporter on the jury. 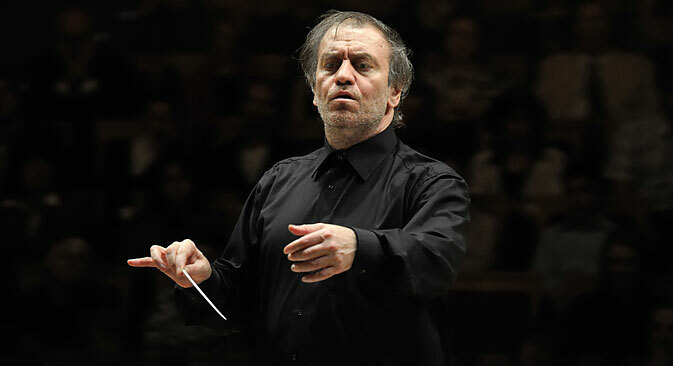 When the Ministry of Culture named Gergiev as the competition’s chairman in 2011, it hoped that the conductor would make fundamental changes to the system. He proved his sponsors right. For the juries, Gergiev chose celebrated performers, not venerable professors. He upped the prize to 30,000 euros ($34,000) for gold medalists, added a whopping 100,000 euros ($113,500) for the grand prix and promised the kind of international exposure only someone like he could give. He hired an American, Richard Rodzinski, who had been in charge of the Van Cliburn International Piano Competition (Fort Worth, Tex.) for over two decades to help modernize the competition. In addition to overhauling the voting system, Rodzinski did what he had done with the Van Cliburn Competition to ensure there could be no accusations of favoritism: He live-streamed the entire competition on the Internet. This decision turned out to be a game-changer in multiple ways. Not only did millions around the world get access to an event taking place in far-away Russia, but these people became witnesses to an incident that in previous years the competition might have swept under the rug. Mark Gorenstein, former Music Director of the State Academic Symphony Orchestra, was heard making racist comments to cellist Narek Hakhnazaryan during a rehearsal before the final stage. Many people saved the video of the incident before competition organizers could pull it, and took to the Internet to protest. Gorenshtein was dismissed, the contestants performed for the finals with a different conductor and Hakhnazaryan won the gold medal. .tv broadcast the whole competition, complete with jury and contestant interviews, presenters speaking in Russian and English, and an archive where people could access every round of the competition for free. Nine million people tuned in, most of them from outside Russia. Visitors can still watch piano laureate Dmitry Masleev performing the Tchaikovsky Piano Concerto No.1 without turning a hair, and listen to female vocalist prize winner Yulia Matochkina’s rich voice singing Tchaikovsky’s “Maid of Orleans”. And those who hear Ariunbaatar Ganbaatar’s rendition of Yeletsky’s aria (from the opera “The Queen of Spades”) can have no questions as to why he won the coveted grand prix. Macabre” (Saint-Saëns/Liszt/Horowitz arrangement) and several other pieces he performed in the competition. Classical music lovers should not miss the chance to hear the four laureates live. They are all heavily booked in the next few months and may not be back in New York for a while.